Marius Janulis was a great shooting swingman for Syracuse. He was a consistent perimeter threat for the Orangemen, and an outstanding free throw shooter. Janulis was born and raised in Lithuania, and played high school basketball three years there. His senior year he played in Prattsburg, New York. Janulis played very little his freshman year, seeing only 83 minutes of time in 10 games as he made the adjustment to the American style of game. It was even evident, in that little playing time, that he was a solid perimeter shooter. As a sophomore, Janulis would share playing time with junior college transfer Jason Cipolla. Both were strong three point shooting threats. Janulis was the better shooter, while Cipolla was a stronger defender and rebounder, but still a strong shooter. The two of them were instrumental in helping the Orangemen make their run for the national championship, coming up just short against Kentucky in the title game. Janulis would hit 42% of his three point shots that year, helping to keep defenses honest with John Wallace. Janulis would lead the team in three point shooting his junior season, both in terms of number of three point shots made and shooting percentage. He averaged only 9.3 ppg, though most of that was from three point range. As a senior, Janulis would see significant playing time as the result of Cipolla graduating. Janulis would start every game at shooting guard, and again lead the team in three points baskets and three point shooting percent. Janulis would hit a big three point shot from the top of the key to beat Iona as time expried in the first round of the NCAA tournament. 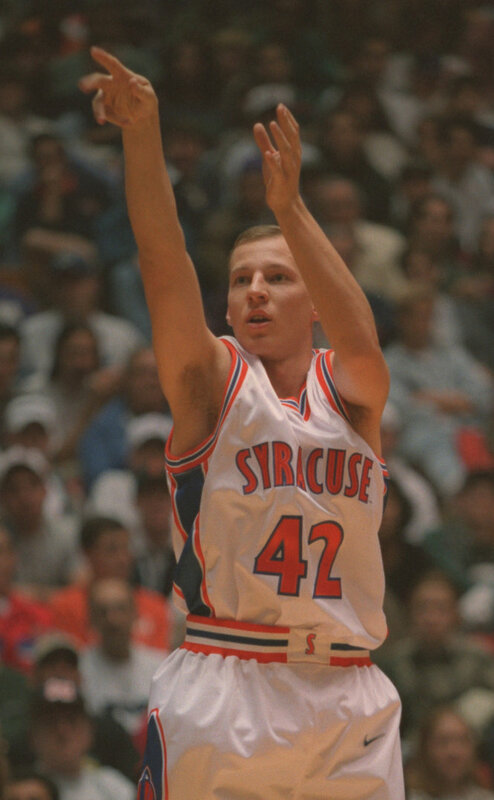 When he graduated, Janulis would have the second most 3 point field goals in Syracuse history, just trailing Lawrence Moten. In the summer of 1996 he played on Lithuania's team that won the European Junior Championship, and in 1997 he played on the Lithuanian national team that played in the world championships. Janulis was an outstanding student and earned several academic all-star nominations his senior year. Janulis would play some professional basketball in Europe.